Alcohol is a risk factor for more than 60 medical conditions including heart disease, liver disease, depression and a number of cancers – the risk increases with the amount of alcohol drunk. But the harm from alcohol goes far beyond individual health – it can affect families, friends and communities; it contributes to violent crime, domestic violence and absence from work. We know that the impact of this alcohol harm falls disproportionately on the more vulnerable people in society. Those in the lowest socioeconomic groups are more likely to be admitted to hospital or die from an alcohol-related condition compared to their better-off neighbours, so action that supports local work to prevent or reduce alcohol-related harm can help reduce health inequality as well. Many people are unaware that they drink at levels that may damage their health or impact on the well-being of others. Reducing alcohol harm is a top priority for PHE, and for many local authorities. We are working to support national and local partners with a range of tools to prevent and reduce the impact of alcohol-related harm; partnerships may already be familiar with the fingertips data in the local alcohol profiles for England and the JSNA commissioning prompts. PHE has launched a new evidence-based tool – the CLeaR self-assessment for alcohol. The tool is based on a model initially developed by Action on Smoking and Health to provide local government and partners with a structured, evidence-based approach to improve tobacco control. It provides a framework for strategic review and analysis of local structures and delivery focusing on local outcomes and priorities, and its completion should result in the agreement of a place-based action plan. PHE piloted the alcohol CLeaR tool in four unitary authorities last year and had positive feedback. The participating areas indicated that the findings from the process were really helpful in framing discussions about priorities for future action, and in shaping local improvement plans to help them maximise impact. 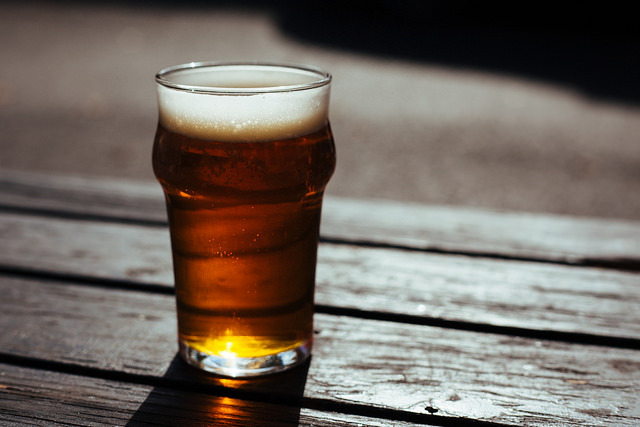 Those involved in the pilot reported that they felt confident about picking up the tool and completing it unaided – and PHE has developed tools and resources to support the completion of the alcohol CLeaR process for anyone less familiar with this approach. The tool aims to promote sector-led peer support initiatives through sharing good practice and case studies, highlighting innovative and effective working. We are keen to support those using it locally to take ownership of both the process and any progress made, to help engage local stakeholders and ensure that results are sustainable. We are confident that engaging in the CLeaR self-assessment process will kick-start local conversations between key stakeholders about how to improve the wide range of outcomes affected by harmful drinking. It can also act as a vehicle through which partnerships can develop new approaches to delivery at local level. I was pleased to hear from one Director of Public Health that the self-assessment had enabled their team to comprehensively examine and evidence partnership work to tackle alcohol harm. Others involved in the pilot have used the tool to highlight issues, re-focus local work and make new connections.